As said in my previous blog post The Ozarks, the world is a busy busy place and people are caught up in the midst of it. Being busy is not a bad thing, but if you are always going at 100 miles per hour and never taking time to be alone, it can be detrimental to you. As a follower of Jesus Christ, I believe that God wants people to spend quiet, 1 on 1 time with Him. This, along with the beauty of the Ozark Mountains is the main driver as to why I spend time away from people and society. My get aways to the mountains don’t happen that often but I do make sure to spend at least 10 minutes on my own every morning before I start my day. I read my Bible and spend time in prayer with God. Spending time alone is the best way for me to speak to God and for me to listen to what he has to tell me. Regardless of whether you are a Christian or not, spending time in isolation for just a few minutes each day is so beneficial for your mind and well being. It allows you to slow down and feel at peace. It reenergizes you and makes you feel ready for the day ahead. It can be a time where you simply get to relax. It can also be a time where you better yourself. Being alone, even for just a few minutes each day is something that many people don’t do anymore. No, sleeping does not count for all you single people. Society never gives us a break. 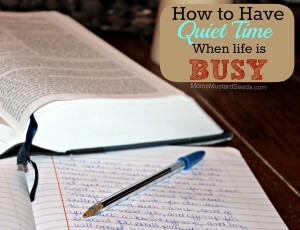 Between work, school, relationships and all our responsibilities, we rarely have any quiet moments. That is why you have to be disciplined enough to create quiet moments for yourself. Trust me on this one. It is worth it. Once you start spending time with just yourself, you won’t be able to stop.